You are the future of orthodontics, and among the next generation of leaders in the field. You deserve every opportunity to excel because the competence and expertise you acquire now will impact on the quality of patient care in Asia Pacific for years to come. You deserve every opportunity to excel: you are dedicated, and your academic merit and progress warrant participation in the trainee audience at this crucial conference. But to make that happen, you first need to convince your boss to send you. We can help with that. Just take these five easy steps, use the professionally written letter we’ve already prepared for you, and we’re sure that we’ll be seeing you in Boracay for APOC 2018! List your goals and – just as important –your challenges, as well as your boss’ goals and challenges. Study the scientific programme and use these goals and challenges to map out your congress, selecting the plenary sessions, lunch symposia and hands-on workshops that will allow you to reach these goals and rise to these challenges, and the regional and international experts who will be leading them. Stress the need to stay current on the research, knowledge and experience of delegates attending APOC 2018, of being among the first to learn of all the significant new developments and scientific advancements in orthodontics, and of seeing hearing, and meeting, the invited expert speakers, the luminaries in the field whose names your boss is very familiar with. With exhibitions of all the leading suppliers in orthodontics, you will be able to make an informed contribution to discussions on your organization’s purchasing decisions, which is only possible when all the leading vendors are assembled under one roof as they will be at APOC 2018. When it comes to professional development, most bosses prefer a written request, and we’ve created a letter template to get you started in the right direction. Just customize and tailor it to suit your individual situation. What you take away from the conference will vastly improve your skills and will open your mind to all the vital connections in science and medicine. You deserve every opportunity to prepare yourself not only to make an impact on the future of orthodontics, but to advance it and be an indispensable part of your organization. Use our pre-written letter to convince your boss to send you to APOC 2018! Following up on our discussion, I would like to expand on my request to attend APOC 2018. I believe that, as a member of the next generation of leaders in orthodontics, I am the future of our profession, and deserve every opportunity to excel. The competence and expertise I acquire now will impact on the quality of patient care at [ORGANIZATION] and the entire region for years to come. I will stay current on the research, knowledge and experience of delegates and expert speakers in attendance. My training will take a giant leap forward throughout a wide-ranging three-day scientific program. I will be among the first to learn of all the significant new developments and scientific advancements in orthodontics. I will see, hear and meet some of the invited expert speakers, the luminaries in the field whose names I am sure you are already very familiar with. What I take away from the congress will vastly improve my skills – skills that I look forward to sharing with the team at [ORGANIZATION]. I strongly believe that I deserve every opportunity to prepare myself not only to make an impact on the future of orthodontics, but to advance it and be the best that I can be. I have become inspired by this forthcoming congress – and I hope that these points inspire you to allow me to attend APOC 2018. Here is the cost breakdown in USD, and I strongly recommend that we take advantage of the Early Bird Rate, which makes the congress even more affordable. Please let me know if there’s any additional information required. I’ll be happy to provide. 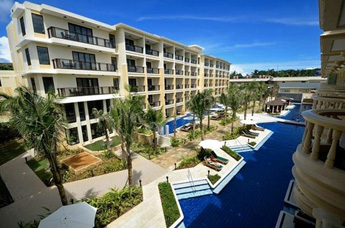 Savoy Hotel Boracay is the newest tourist destination surrounded by an array of various leisure activities being at the center of the entertainment complex of the Boracay Newcoast. 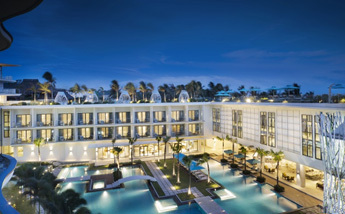 At the center of its one kilometer white beach is an expansive grand plaza called Newcoast Station where row of vibrant boutiques, strip of luxurious cafes, lounges, beach clubs and bars are within reach. 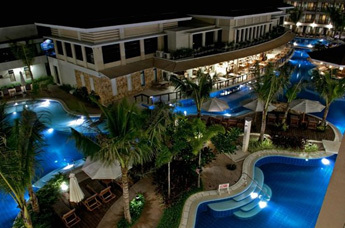 With all these in mind, you get to color your experience only at Savoy Hotel Boracay! 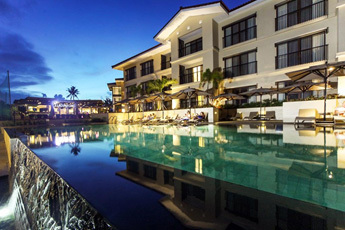 Perfectly positioned in one of the world’s most beautiful islands, Mövenpick Resort & Spa Boracay is truly a piece of paradise. Located in majestic Punta Bunga Cove, the Resort offers unobstructed views to Boracay’s famed sunset only 20 minutes away from the island’s downtown district. 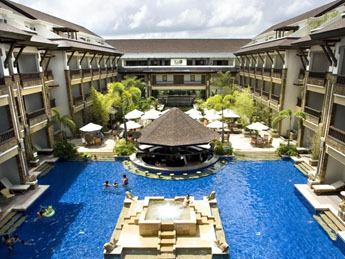 Bask in Boracay‘s natural beauty at any of our 312 well-appointed rooms and suites. Dine in style in any of the three signature restaurants, have a drink at any of the three bars or enjoy Chocolate Hour at The Café. Get a tan beside the island‘s largest swimming pool or walk along our private beach while the sun kisses the turquoise blue waters. Wellness enthusiasts can also look forward to serenity and relaxation at the Sagay Spa. With its nature-inspired treatments, guests can look forward to both traditional and innovative techniques that soothe both body and spirit. Both motorized and non-motorized water activities can also be enjoyed at the Resort, as trained and certified professionals keep guests safe every step of the way. Families have plenty to look forward to as well at Mövenpick Resort & Spa Boracay, with our Little Birds Club with interactive learning sessions. – Child friendly amenities** Child policy: Daily breakfast buffet for 2 adults and 2 children 6 years old and below; Children ages 7-12 years old will be charged 50% off our daily breakfast rate. 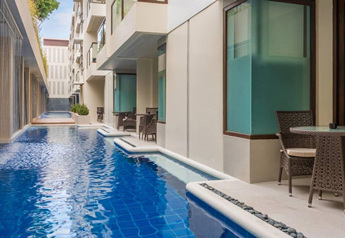 Situated in STATION ZERO, the island’s most exclusive location, Crimson Resort & Spa Boracay boasts a private and undisturbed white sand beach and cool crystal clear waters. Secluded and pristine, it evokes memories of the Boracay we love and long for. The sea arrival creates a truly exclusive VIP experience for guests, setting the mood for their stay. The resort features one Presidential Suite, 22 Villas with private pools, 72 One-bedroom Suites, 97 Deluxe Rooms, Saffron all-day dining restaurant, Mosaic Latin American Steakhouse, Pool Bar, Coral Ballroom, The Pavilion, Meeting Room, Crimzone Kids Entertainment, three swimming pools, a Fitness Center and the famed Azure Beach Club and Aum Spa. Note: Crimson Hotel has an exclusive private ferry transfer which ferry its guest directly to the resort entrance skipping the additional land transfer required. Daily buffet breakfast at Saffron from 6 a.m. to 10:30 a.m. Round trip land and speedboat transfers to/from Caticlan. A minimal fee will be added for land transfers arriving via Kalibo at Php 3,300 nett for a 10-seater shared van. Inclusive often percent (10%) service charge and twelve (12%) VAT. 3rd Person Charge is at PHP 3,050.00 that includes breakfast at Tartine and round trip land and sea Caticlan airport transfers. Includes complimentary scheduled shuttle transfers from The Lind to the congress venue (Ecovillage Resort) during the official dates 5 – 7 March 2018 and are non-exchangeable for cash or used as rebates. 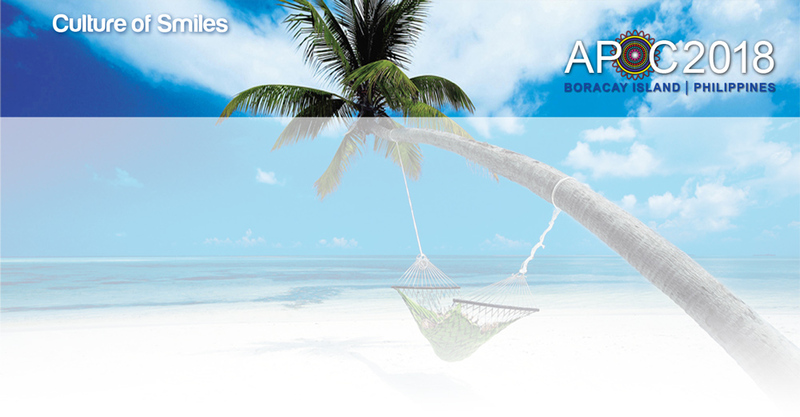 Any cancellation made 61 – 120 days prior to arrival will be charged 50% of total room charges as cancellation fee. Any cancellation made 60 days and below prior to arrival will be charged 100% of total room charges as cancellation fee.